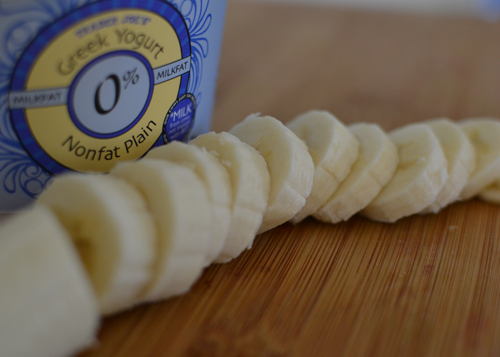 There's no better compliment to plain greek yogurt than berries, bananas and granola. It's so easy and oh so good. 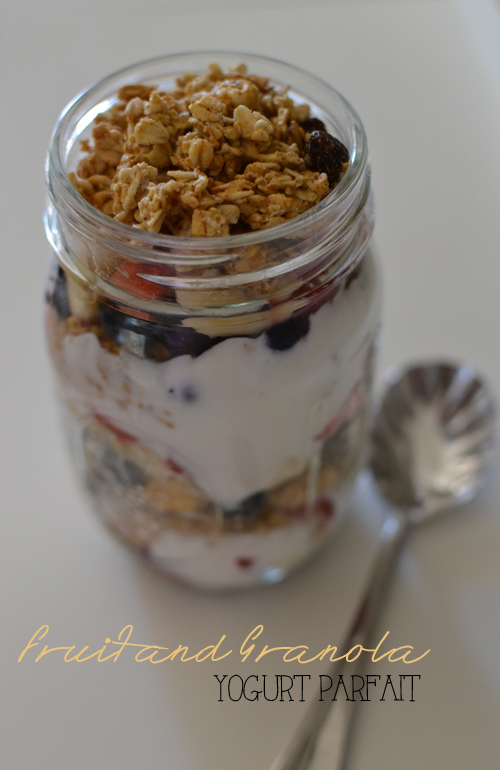 I made this yummy yogurt parfait after browsing Pinterest for easy breakfast ideas. Since I love anything and everything pumpkin flavored, I used pumpkin spice granola from Trader Joe's and it could not have been more delicious. 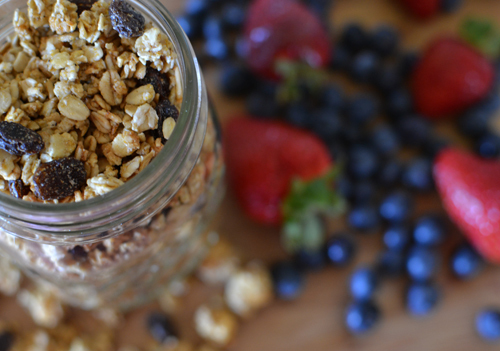 If you're anything like me and only have about 5 minutes to eat breakfast each morning, then this parfait is for you. 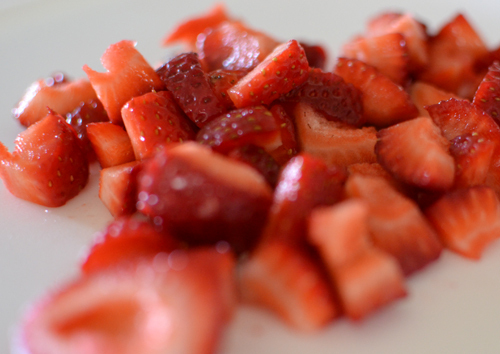 Looks so delicious and healthy. Like this kind of food. Oh wow. I had no idea TJ's had pumpkin spice granola! That sounds amazing. I bring granola with protein added and yogurt for lunch at school now that I'm pregnant. Yum and looks so pretty! I need to make this for myself! Was just sipping juice out of a mason jar...now can make parfaits!